"In West Philadelphia, born and raised, on a playground is where I spent most of my days..."
I'm sure you can finish the rest of that song. 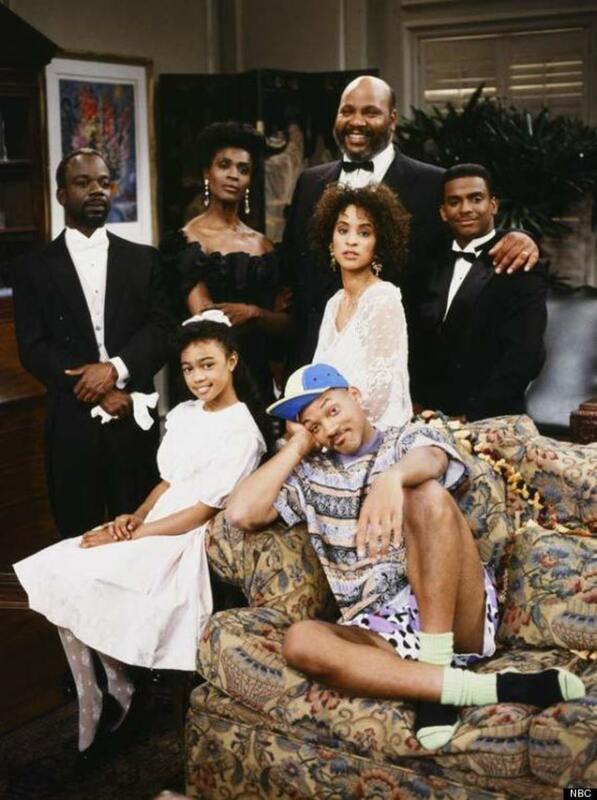 The Fresh Prince of Bel-Air debuted on NBC in September 1990. The show ran for six successful seasons, and catapulted Will Smith AKA The Fresh Prince to international fame, introduced us to The Carlton Dance, and entertained households all over the world from 1990-1996. 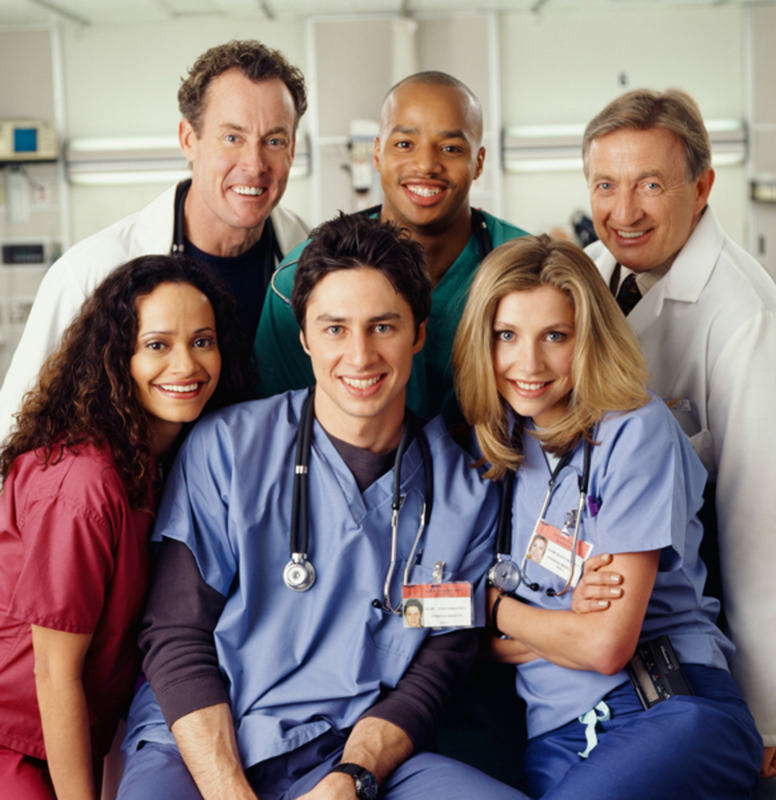 Since the show's end, the cast has gone on to varying amounts of fame. 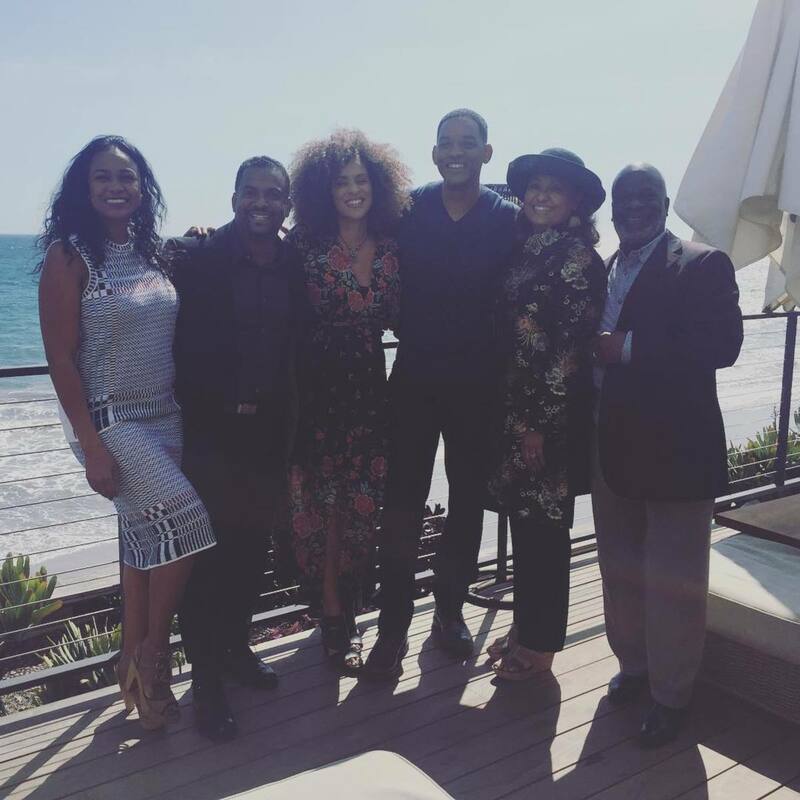 What's Will Smith, Alfonso Ribeiro, Tatyana Ali and the rest of the cast up to now? 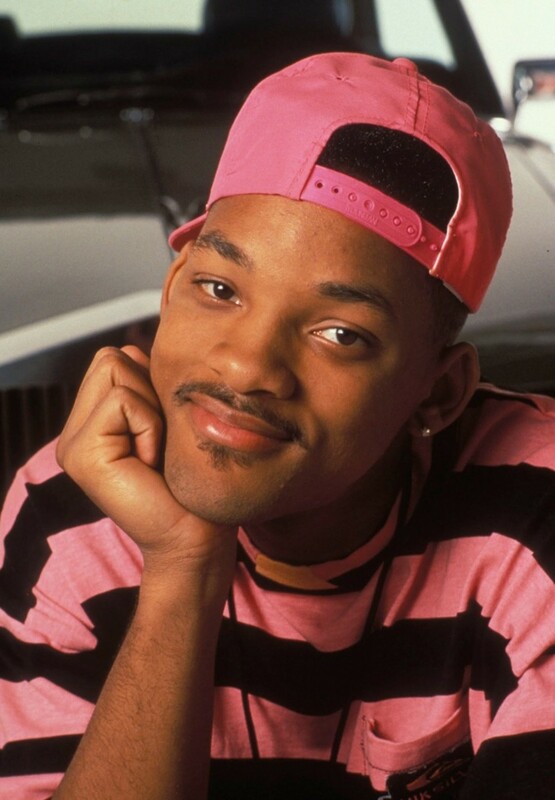 The Fresh Prince of Bel-Air was created specifically for Will Smith! Before the show's start, Smith was already a successful rapper- he and DJ Jazzy Jeff (more on him later) were a popular rap duo, most well-known for the song, "Summertime"- and NBC approached him about having his own sitcom. The show was written about Smith and loosely based on his experiences growing up in West Philadelphia. By the mid-90's, Smith had emerged as a Blockbuster actor, and he decided to leave the cast to pursue film acting. He's had quite an illustrious career since: he's acted in over 21 films (including Bad Boys, Independence Day, the Men in Black trilogy, and Focus), has received many award nominations (including Best Actor for his roles in Ali and The Pursuit of Happyness), and has a net worth of over $250 million dollars! 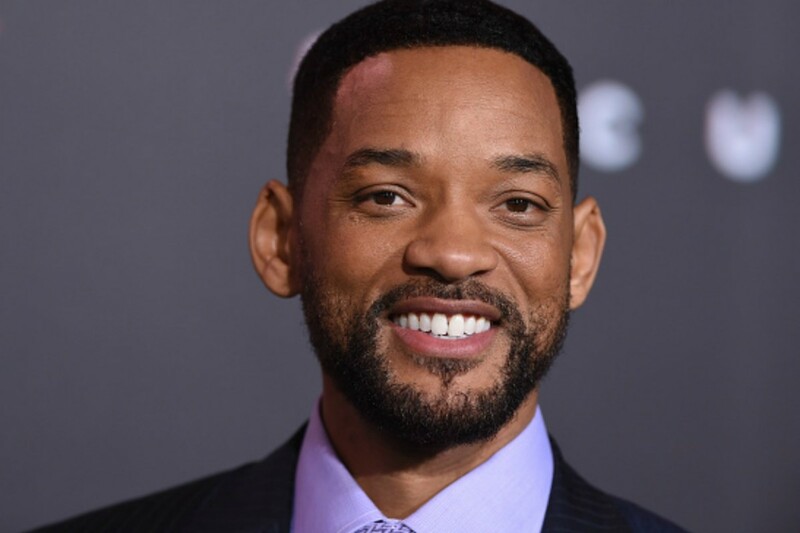 Will Smith is also well-known for his famous family; his wife, Jada Pinkett-Smith, is a successful actress in her own right- and she and Will actually met on the set of Fresh Prince back in 1995. Jada and Will have two children together, Willow Smith, who's pursuing a career in singing, and Jaden, who's most known for his acting roles (he and Will starred in the 2013 film, After Earth, and he's currently starring on the Netflix show, The Get Down). Smith's most recent film is 2016's Collateral Beauty, and in 2017, he's due to star in the sci-fi fantasy, Bright. Follow Will Smith on social media: Twitter and Facebook. One of the reasons Will initially did the show was to pay back IRS debt. 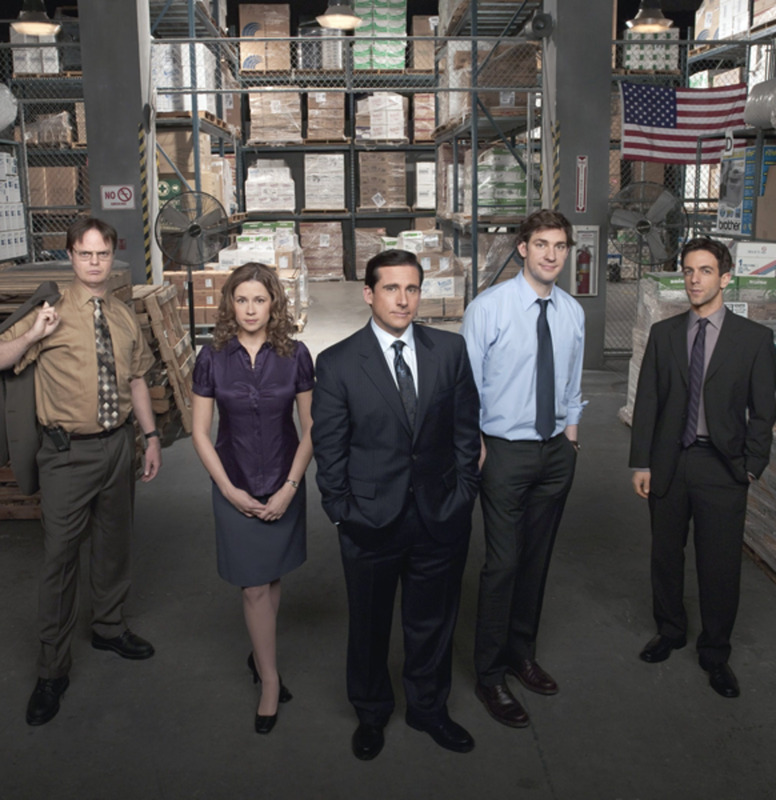 He owed $2.8 million at the start of the show, and by season 3, had paid off his back taxes. What would Fresh Prince be without Uncle Phil? 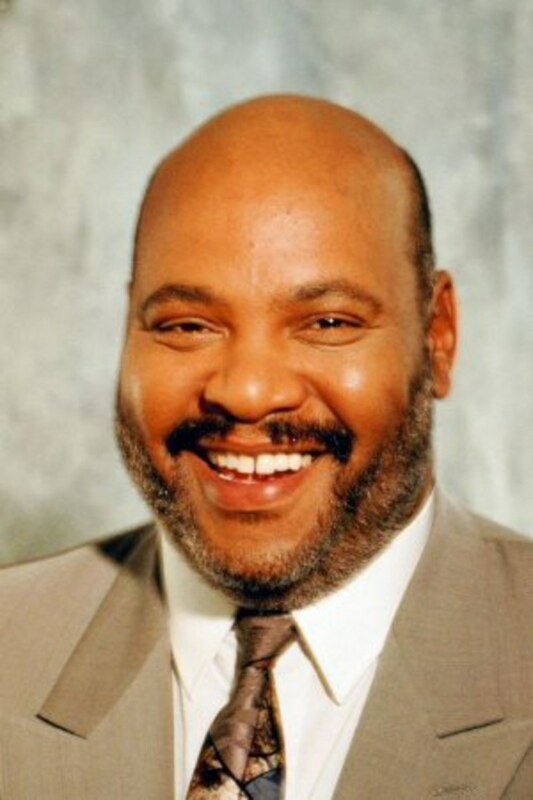 James Avery played the role of Will's Uncle (by marriage), Judge Phillip Banks. He and Will had a great rapport on the show and created many memorable TV moments together, as well as several laugh-out-loud scenes. Avery was already an established actor prior to Fresh Prince; he acted in several films and TV shows throughout the 80's (he was also the voice of Shredder on the Teenage Mutant Ninja Turtles cartoon). After his run on Fresh Prince, he continued to act both on TV and film, with roles on the crime dramas, The Division (2002-2003) and The Closer (2005-2007). Sadly, Avery passed away in 2013 after complications from a heart surgery. 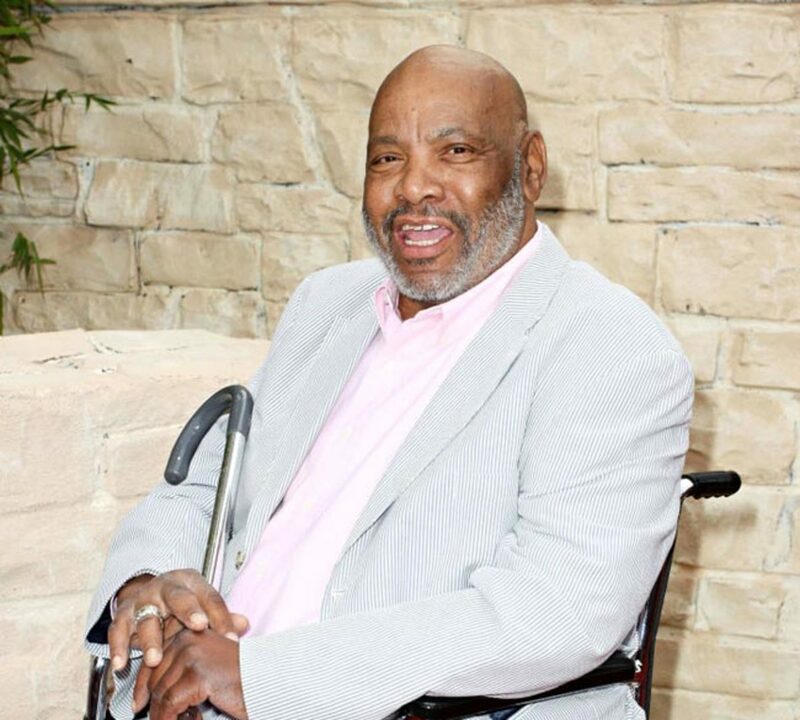 His Fresh Prince co-stars took to social media to remember him, with Will Smith saying, "Some of my greatest lessons in Acting, Living and being a respectable human being came through James Avery. Every young man needs an Uncle Phil. Rest in Peace." 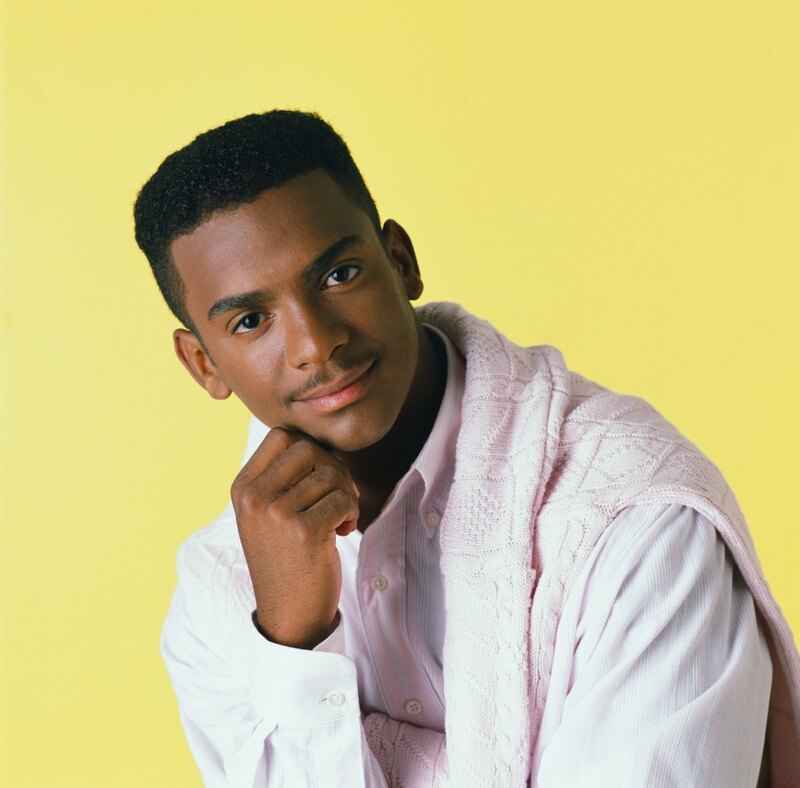 Another iconic character on Fresh Prince was Will's cousin, Carlton Banks. 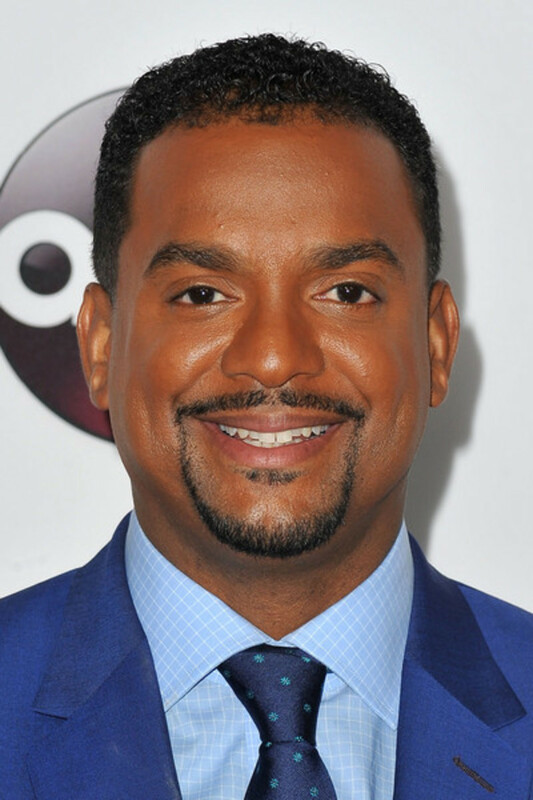 Played by Alfonso Ribeiro, Carlton was the quintessential goody-two shoes; his character provided a stark contrast to Will's shenanigans on the show. And, of course, his character created the "Carlton dance" in the early 90's! Like several of his other Fresh Prince co-stars, Ribeiro already had a few roles under his belt prior to joining Fresh Prince. As a child, he danced alongside Michael Jackson in Jackson's 1984 Pepsi commercial. From 1984-1987, he starred in the classic 80's sitcom, Silver Spoons. After Fresh Prince, Ribeiro went on to do some game show hosting (he hosted the GSN shows GSN Live from 2008-2009, and Catch 21 from '08-'11), and reality TV appearances (he was the winner of both Celebrity Duets in 2006, as well as the winner of the 19th season of Dancing with the Stars). Ribeiro currently stars as the host of America's Funniest Home Videos, and continues to make guest appearances on TV shows. Ribeiro has also been married since 2012, and he and his wife have two sons. Ribeiro modelled the famous "Carlton Dance" after a mix of dance moves from Courteney Cox and Eddie Murphy's parody of a white guy dancing. 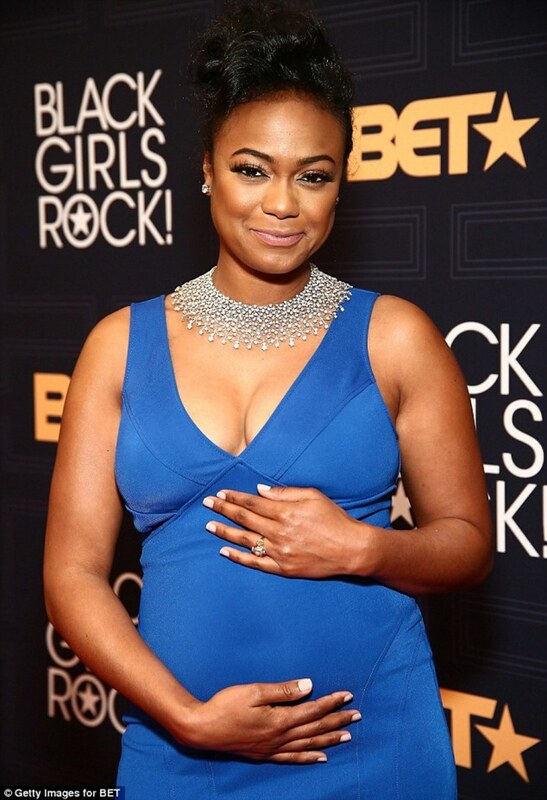 Tatyana Ali played Ashley Banks, Will's precocious younger cousin. 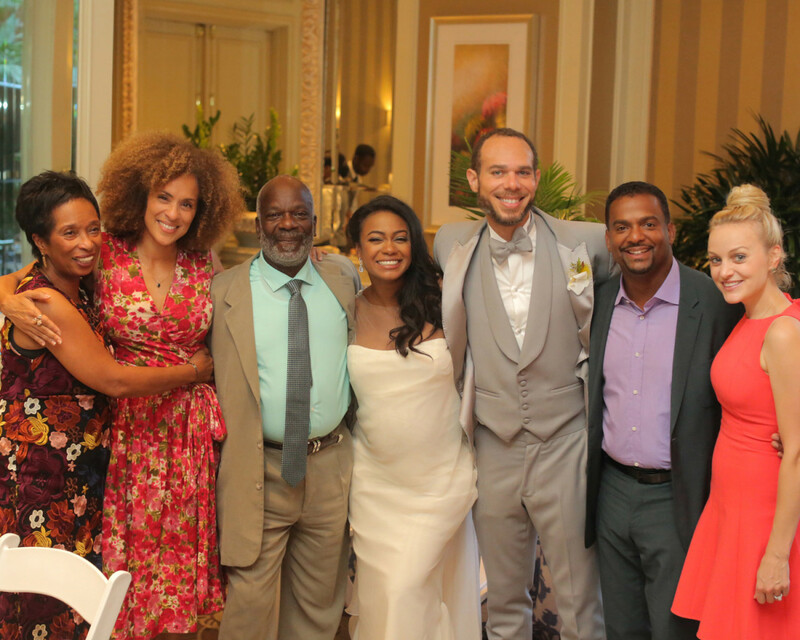 Ashley was well-loved throughout the show; she was like a happy medium between the Banks family and Will- sometimes showing a bit more of her wealthy/privileged lifestyle, but also open to learning about Will's life in Philly. 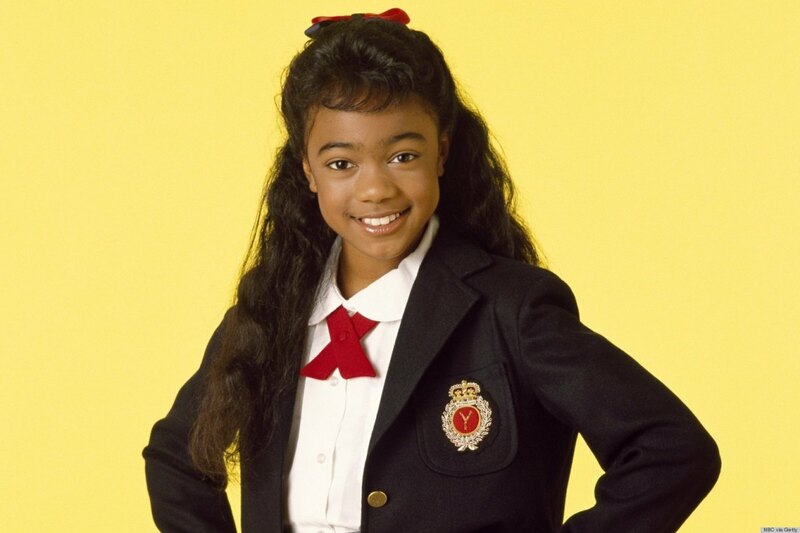 Tatyana Ali was only 11 when she joined the cast of Fresh Prince, but she had previously started acting at the age of 6 with appearances on the beloved children's show, Sesame Street. She also made an appearance on The Cosby Show in 1989. Throughout her run on Fresh Prince, Ali showed off her vocal skills, and after the show's end, she went on to release her debut album, Kiss The Sky (1998), which saw moderate success due to her hit single, "Daydreamin'." Since then, Ali has acted on various TV shows including a 5-year stint on The Young and The Restless between 2007-2013. She also starred on the TV Land sitcom, Love That Girl! 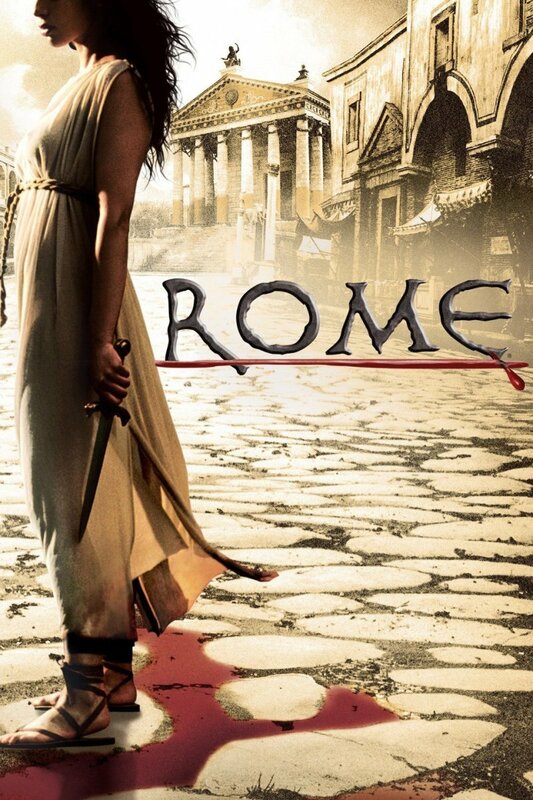 between 2010-2013. Ali most recently made headlines in 2016, after getting married and announcing the birth of her first son later that same year. 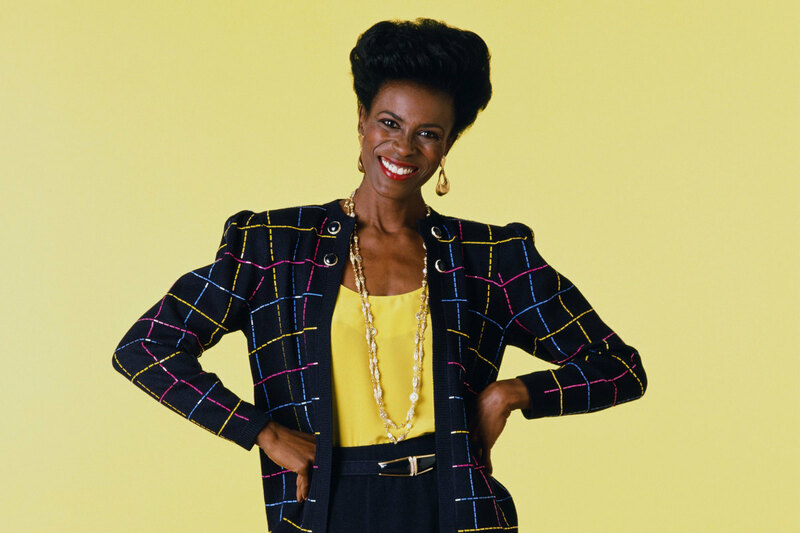 Janet Hubert was part of the original cast of Fresh Prince as Aunt Vivian, Will's maternal Aunt. 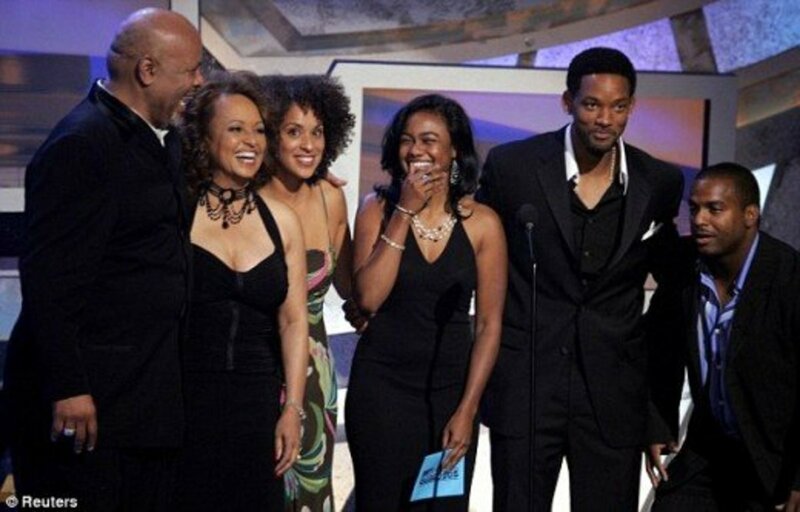 Aunt Viv was often the voice of reason on the show and acted as a mother to Will, and often as a buffer between Will and Uncle Phil during their fights. Hubert already had a established career prior to Fresh Prince; she was the original Tantomile in the first Broadway run of the musical, Cats, and she was also a professional dancer (there's an episode of Fresh Prince in which Aunt Viv auditions for a ballet; Hubert really did the dancing during those scenes). After three seasons on the show, Hubert was fired in 1993 due to creative differences with Will Smith. She continued to act after leaving the show, though, making appearances on Friends, Gilmore Girls, and One Life to Live. Hubert hasn't done much acting in recent years, but she's currently the ambassador of the National Osteoporosis Foundation and posts occasionally on her YouTube page. Fresh Prince and DJ Jazzy Jeff in recent years! 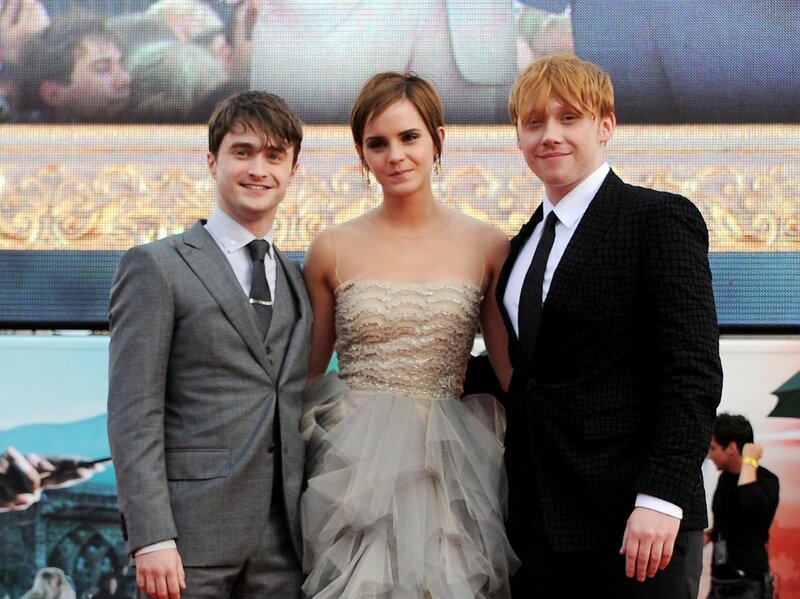 The cast had a "set diary" where they'd leave secret notes for one another. 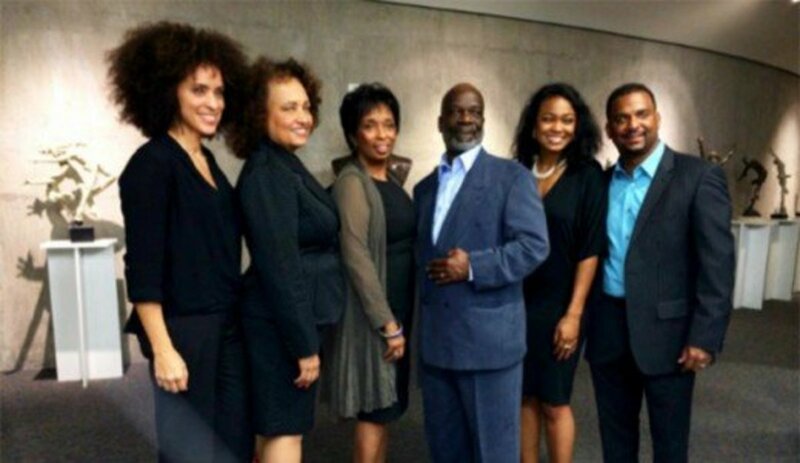 Karyn Parsons still has the diary now, and uses it to remember James Avery. 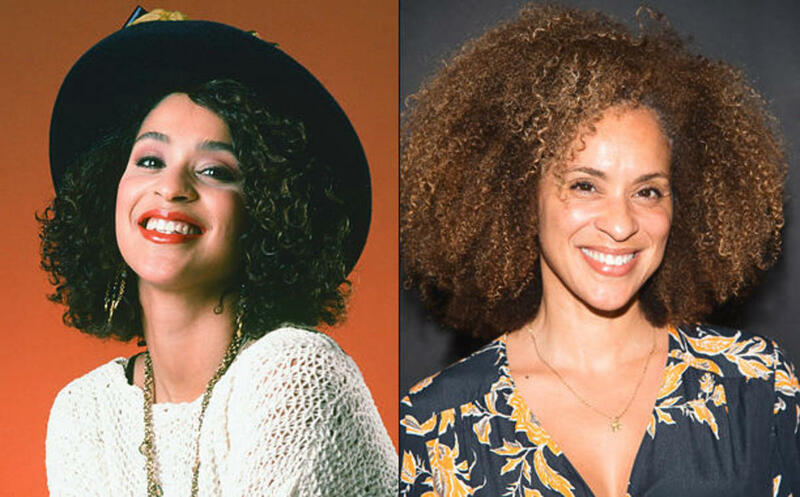 Karyn Parsons played Will's ditzy and spoiled cousin, Hilary Banks, throughout the show's run. Since her days on Fresh Prince, she hasn't done much acting, but Parsons has launched Sweet Blackberry, a film company which focuses on African-American history. We all know Joseph Marcell as the Banks' funny English butler, Geoffrey. Since Fresh Prince, Marcell has had guests appearances on several TV shows, including British shows like Holby City and EastEnders. DJ Jazzy Jeff (real name, Jeffrey Allen Townes) had several apperances on the show as Will's best friend, Jazz. Though he hasn't done any acting since Fresh Prince, DJ Jazzy Jeff continues to make music and release mixtapes. After Janet Hubert left the role of Aunt Viv, she was replaced by Daphne Maxwell Reid, who stayed on the show until its end in 1996. Reid has done a handful of TV appearances since her stint on Fresh Prince, including a recurring role on the UPN sitcom Eve from 2003-2006. 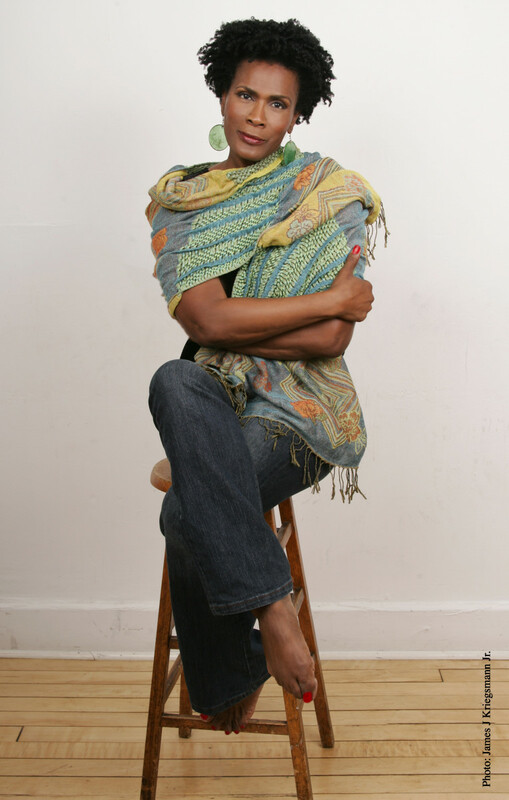 Vernee Watson-Jackson played Will's mother, Vy, on the show throughout its run. Watson-Jackson has had numerous guest appearances on TV, with roles on Dexter, The Big Bang Theory, and Desperate Housewives, among many others. You might remember Ross Bagley as the youngest of the Banks family, Little Nicky. He joined the cast in '94 (at 6-years-old), and stayed on until the show ended. 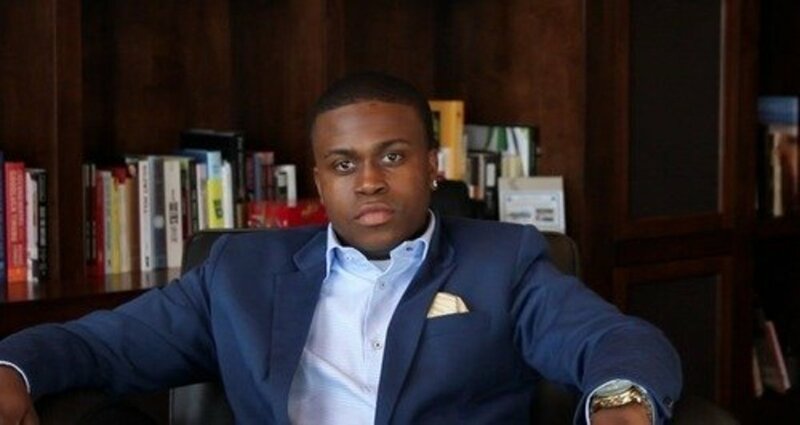 Bagley no longer acts; instead, he graduated from California State University at Northridge, and currently works as a licensed real estate agent in the Los Angeles area! 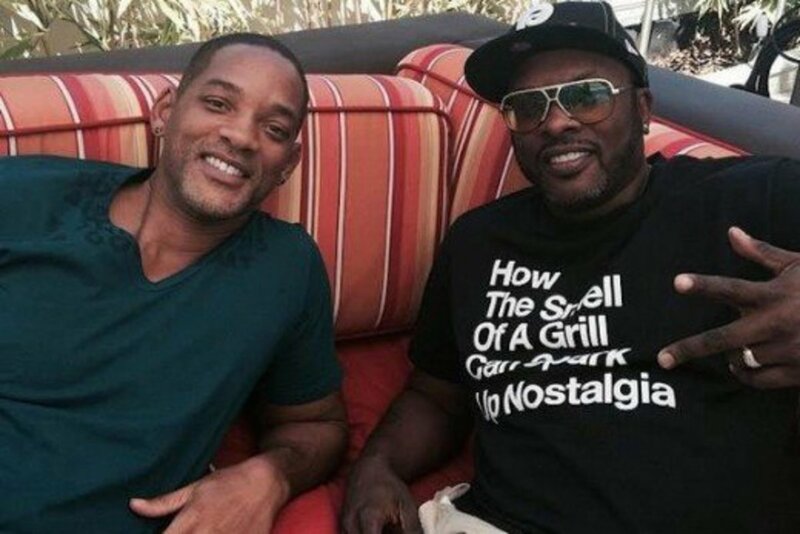 Though the fans have wanted a Fresh Prince of Bel-Air reunion for years, the chances look pretty slim. 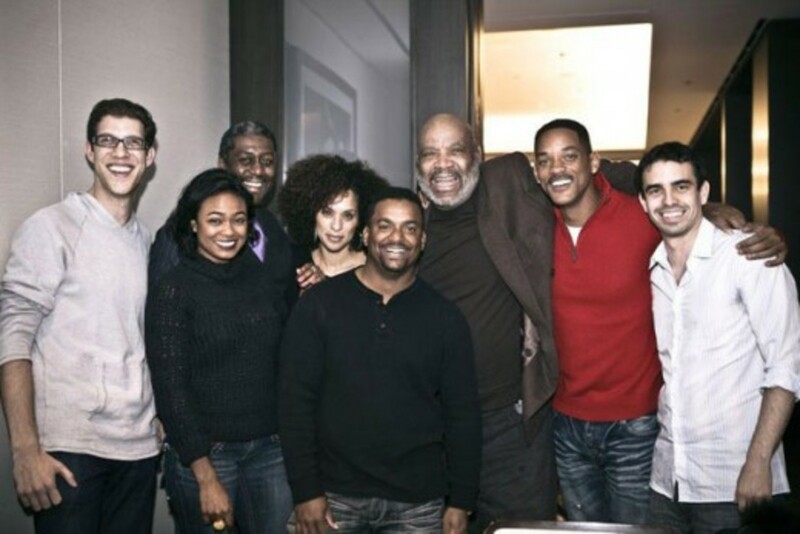 Throughout the years, various cast members have denied any sort of reunion episode or reboot, and in 2016, Will Smith went as far as to say that he'd revive Fresh Prince when "hell freezes over." Ouch. There were even talks of a reboot of the show, with Smith's son, Jaden, taking Will's original role, but even that seems unlikely at this point, especially since the eldest Smith seemingly has no interest in rebooting the series. It's really too bad, though- with Fuller House (the Full House reboot), and talks of a Will & Grace reboot coming, it looks like now is the time to bring back 90s sitcoms, but I guess we'll have to settle for watching reruns of Fresh Prince or streaming the episodes on Netflix. Thankfully, the cast gets together from time to time so we can still see them in pictures together, occasionally, or even on talk shows (see the Graham Norton clip below) if we're lucky! Who is your favourite character on The Fresh Prince of Bel-Air? In my opion Will Smith was overly sarcastic bully who can't handle anyone having a difference of opion from his he can't handle that when that happens he gets rids of them.. and his daughter Willow is a rich snobbish brat who dosen't have respect for any one..and her music leaves a lot to be desired only ones that listen to it are kids and people with no brains They all need a crash course in reality and life maybe they'd learn how to treat people then and stop being rich snobbish bullies..
That's so true, CYong74! I was a bit sad to see most of them aren't really doing much acting anymore, but like you said, at least they aren't having any sort of scandals! Thanks for compiling these updates. It's nice to read that the cast are well. One of the most heartbreaking things is to read about the cast of your favourite retro series ending up doing drugs, scandalous or in jail.